Online contests are nothing new. Businesses have been running them since the internet began, and to great effect. They have, for years now, been a huge driver of many business' social media Following, engagement, lead generation, and (for those businesses who really know what they're doing), sales. As a contest and marketing campaign platform, we get dozens of signups every day who are excited to run a contest. They build something beautiful, with a great prize, only to have the promotion fall flat on its face for a reason they didn't anticipate. The question is this, then: What can you do, on your own, to create a successful contest which achieves your business' objectives? This article will give you 10 high-impact contest hacks we've used, and seen used, to make it happen. Everything you see in this article is possible with Wishpond's marketing campaign builder. Looking to build your social media presence or generate leads and sales with a contest? Speak to a Wishpond marketing expert today. The most important factor in running an online contest is traffic. You could have the most beautiful contest page with the best possible prize… But unfortunately, unless the page gets traffic, there's no point in running the contest in the first place. The simplest way to drive traffic to your campaign isn't ads, a blog article or social media. It's having your entrants do it for you. The average social media user has approximately 400-700 friends. If every one of your contest entrants shares your promotion on social, you can assume at least a hundred people will see the post. If just 10 entrants share, you'll increase your contest's traffic by at least 1000 visitors - a hack indeed. The easiest way is to incentivize it. Give your entrants additional entries if they share the contest on any given platform. Wishpond, for instance, offers over a dozen social media actions which can be rewarded (including requiring your entrants to Follow you on Instagram in order to enter). Unique referral (or share) links are another great way to get your entrants to Share your promotion. The cool thing here is that there's no restriction on *how* they share. They can either post their unique URL on social media, or via email or (really) any other platform they choose. Another option is to actually run a referral contest, straight up. Referral contests are built around the idea of your entrants sharing (rather than having it be a little bonus). You can actually set it so the person who encourages the most friends to enter your campaign wins. They'll get additional chances to win for every person who clicks through on *their* unique share URL. 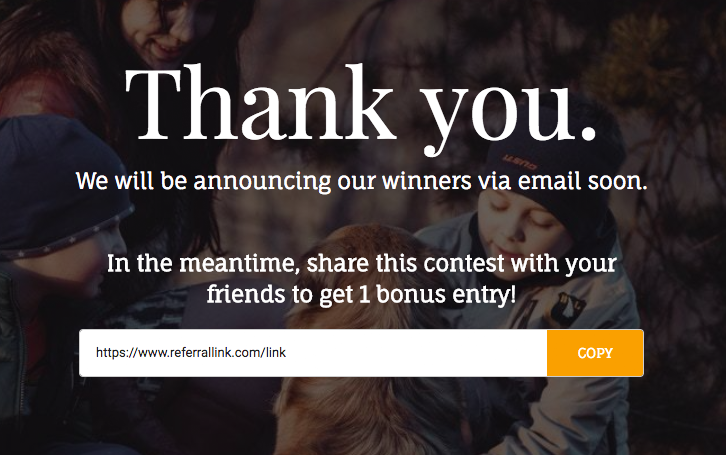 Referral contests are extremely valuable for building social media numbers. And that's especially true if you're running an Instagram contest, as everybody who's referred can be required to Follow you on Instagram to enter. You'd be amazed at how impactful competition can be on your prospective customers. As a result, *showing them where they stand* in comparison to the other contest entrants is a great way to encourage them to share your campaign. 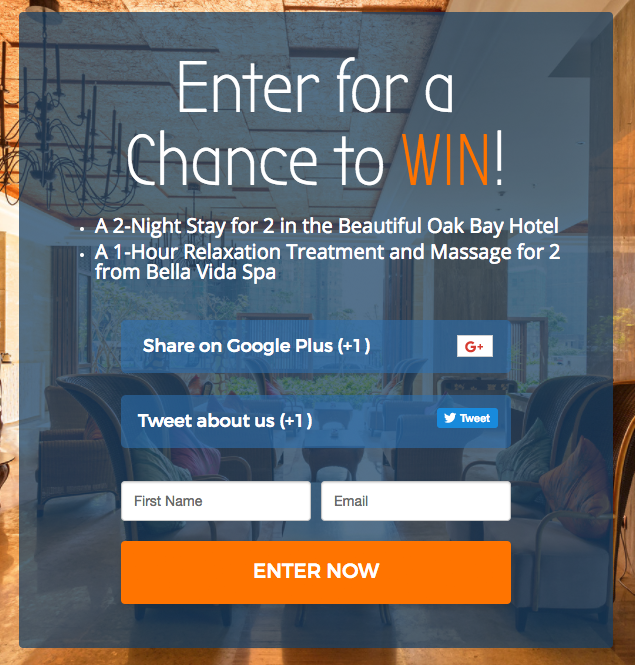 Combining the bonus entry and referral URL tools with a board which shows their standing creates a powerful combination to motivate your contest entrants to spread the word about your contest with their networks. This entrant panel changes dynamically based on whoever is visiting it - so each one of your entrants will see something different when they arrive. 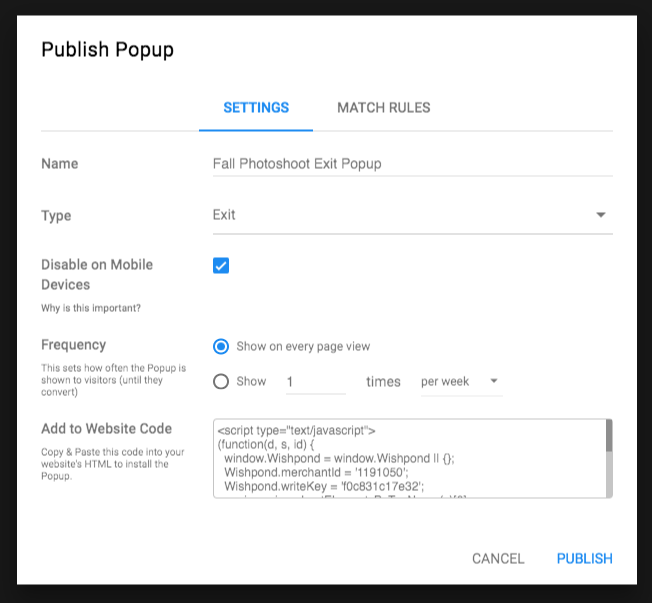 This is done with Wishpond's tracking pixel (a small bit of code which attaches to their browser and allows you to track your contest entrants and website visitors). Welcome mats appear as soon as someone arrives on your selected page or pages. Normally I'd recommend people put them on their homepage, to notify everybody who comes to your site about your current contest. However, it's not about homepage or not homepage, it's about getting eyes on your promotion. Your website traffic (coming from social media, search, ads, word-of-mouth, wherever) are, obviously, interested in what you sell. Making sure they know they have a chance to win your product? That's a no brainer. But often your contests are hosted on social media or a separate landing page, almost independent from the rest of your site. It can be difficult for people to find them if they don't know where to go. Create a welcome mat on your high-traffic pages and send people to your contest from there. This welcome mat would appear as frequently as you want on as many pages of your website as you want. Let's say you have 1,000 website visitors a week (50% of whom are already customers). 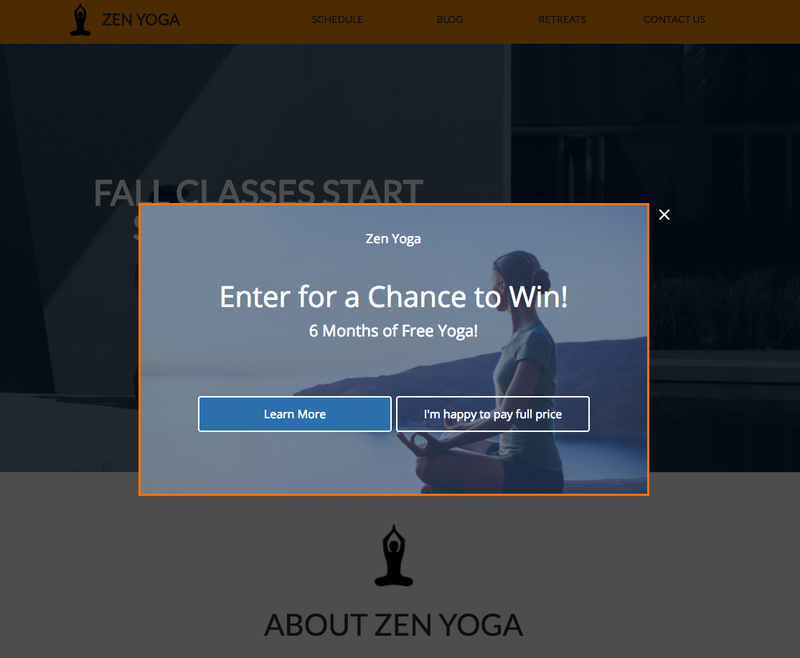 A popup like this might drive up to 100 prospective customers to your contest. 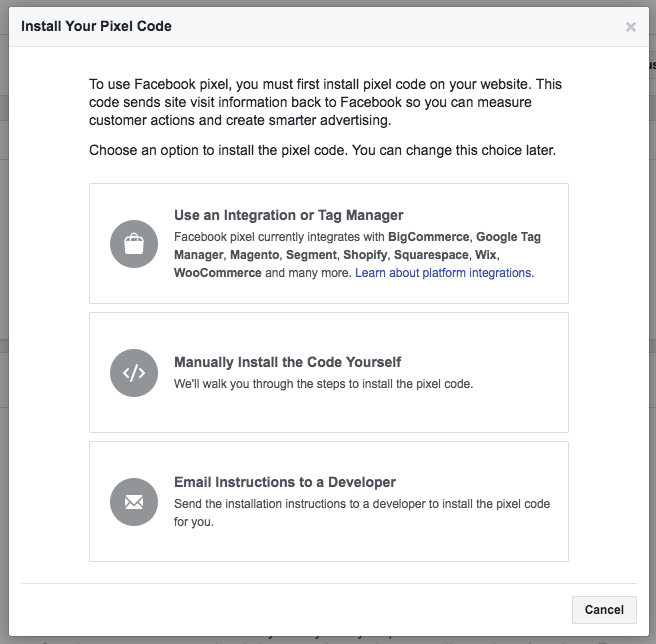 Facebook Ads aren't as much of a "hack" as the rest of these strategies are. They're more of a "must-do." So I'll ignore the basic, step-by-step walkthrough of how to use Facebook Ads to promote your contest (though, if you have questions, you can find that in our article "How to Create a Marketing Campaign That Actually Drives Sales" or our Complete Guide to Facebook Ads (Ebook). Instead, I'll show you a very cool, super simple hack to drive high-quality traffic to your contest with Facebook Ads. Head to https://www.facebook.com/events_manager/pixel/ to start rolling with Facebook's tracking pixel. 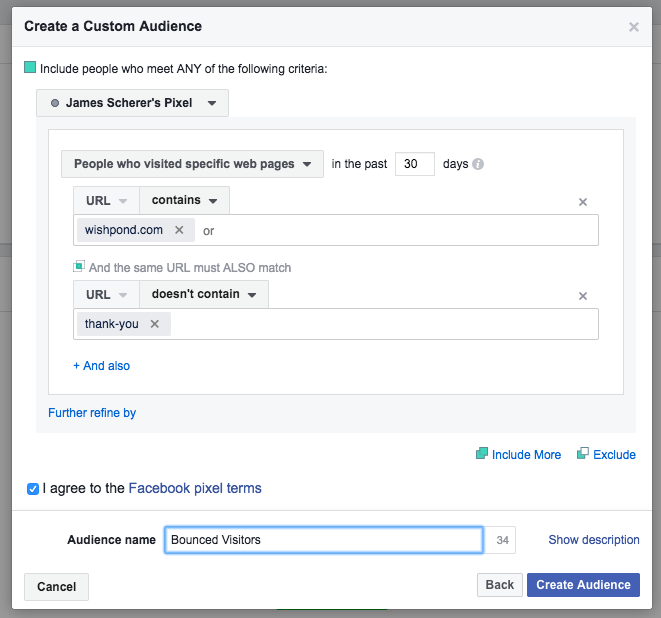 Once you've added your pixel to your site (after following Facebook's instructions) go to Create Custom Audience on the top right. Set the pixel to trigger as soon as people arrive on your site, but be sure you *exclude* people who view your checkout page. This way, you won't be targeting existing customers with your contest, only bounced traffic. So now that we've figured out how we're going to hack driving traffic to your contest, we need to make sure that the visitors actually convert. Depending on who you ask, up to 35% of "lost shoppers" can be recovered with a good exit-intent popup. So, let's say that you're able to drive 500 people to your contest page. You have a 33% conversion rate on the page (about average), you're left with 365 people who bounce. If we can recapture even 10% of those people with an exit popup you'll get 36 more new leads. When we first started optimizing our blog for lead generation, we ran an A/B test. 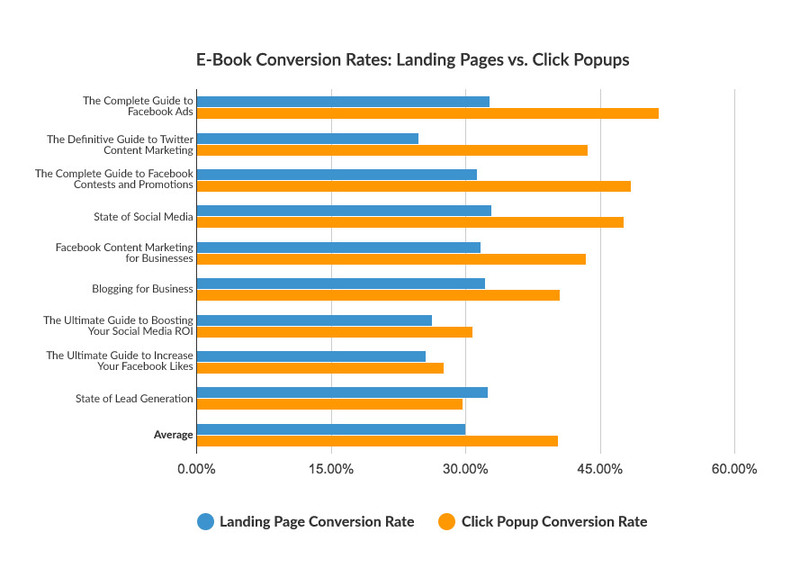 We wanted to see if click popups would drive a higher conversion rate than landing pages for the same content. Now, I'm not saying that this hack - hiding your entry form behind a call-to-action - is guaranteed to increase your contest's conversion rates, but it's well worth a test. 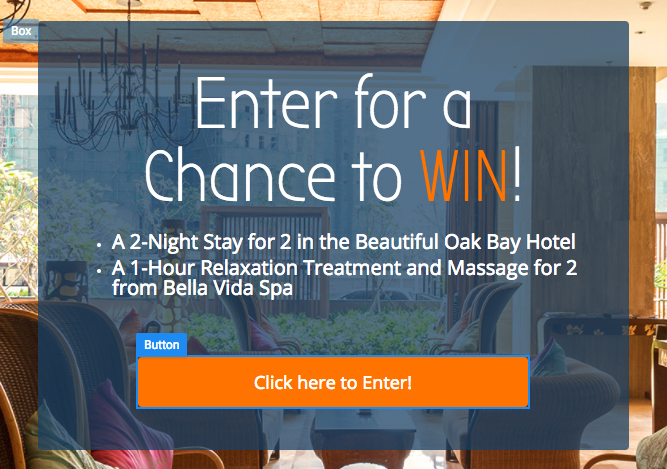 The reason your contest visitors may not convert isn't necessarily because they haven't seen the value of your prize or because they think it's too complicated a process (though you should keep your prize and simplicity in mind). It may be because they're just lazy. 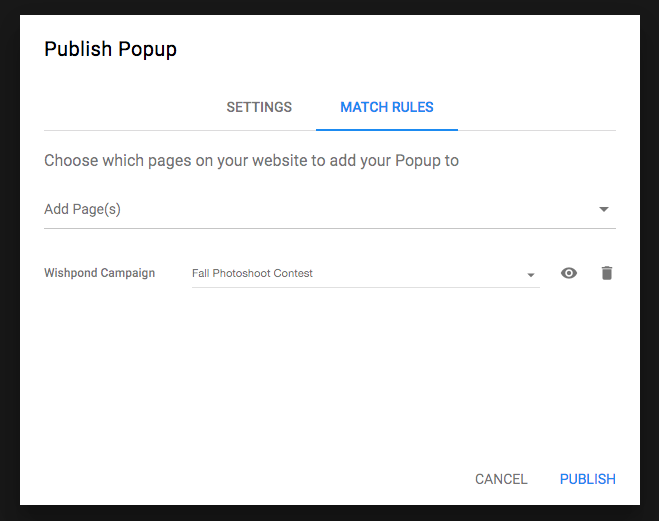 Giving your contest page visitors an incentive to convert *now* can have a serious impact on your overall conversion rates. That's why we don't run sales for the whole year: if this deal is only available for a few more days, I'm far more likely to buy now. 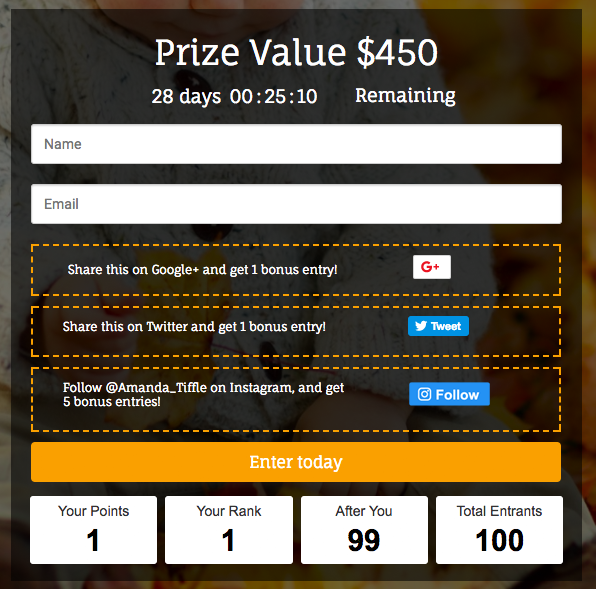 Adding a [countdown timer](https://blog.wishpond.com/post/115675436216/countdown-clock) to your contest page is a great way to create urgency and improve conversion rates. Luckily, they're automatically built into Wishpond contest templates. So we've driven traffic and we've improved our conversion rates. In short, we've maximized the number of new business leads you can get from your next contest. But (and here the trend continues) there's no point in getting new leads, social media followers or contacts, if none of them end up buying from you. Many businesses create their promotion, generate a bunch of new leads, and then simply *hope* that those people will buy from them down the line. After all, they're interested in your products, right? Sure, but just because they're interested in your products doesn't mean they're ready or incentivized to buy. A commiseration discount is a crucial element in your contest strategy, as it's the most effective way to tap the initial enthusiasm of contest entrants. As the days and weeks go by after their loss, their interest in purchasing your product will dissipate. Getting them to buy soon after the contest's end is crucial. We'd like to thank you, again, for entering our Fall Family Photoshoot Contest! We've randomly drawn a winner, and would like to congratulate Susan Thompson on her win! We've contacted Susan separately, and she and her two little girls are super excited for their family photoshoot! As a sign of our appreciation, we'd like to offer every one of our contest entrants 20% off a 2-hour photoshoot of their choice. If you book online, use discount code FALLPHOTO2017. If you want to book a photoshoot over the phone or via email, just mention this contest in the call. Not everyone is going to take you up on your discount, but that doesn't mean you can let them slip back into the abyss of your mailing list. Intelligent segmentation allows you to target your contest leads, down the line, with content specifically relevant to them. For instance, this hypothetical photography company I've used as an example several times today… This company knows that its new contest leads have families. That's the target audience for the ads, and that's the "product' they're promoting (a family photo shoot). Let's say this company also does wedding photography. Does it make sense for them to target these contest leads with that promotion? Or, would they be better off targeting their previous wedding contest leads with a promotion relevant to them. This kind of segmentation results in higher engagement rates and rarer unsubscription (because you're not "spamming" your contacts with something they're not interested in. This is especially true if you run several campaigns a year or on a seasonal basis. Then, next time I have a family-oriented promotion (which would be in the winter), I can target these people specifically. 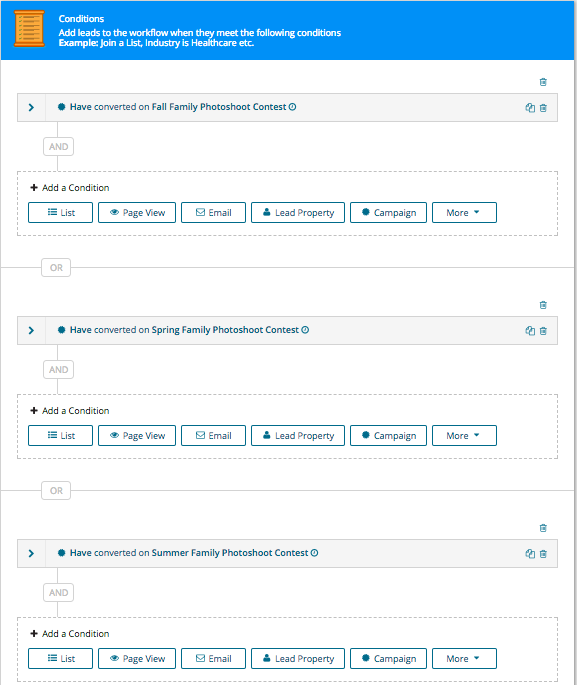 Everything you saw in this article is possible with Wishpond's contest builder. Looking to build your social media presence or generate leads and sales with a contest? Speak to a Wishpond marketing expert today. Every contest is different. Every business has a different goal, different products and a different target market. But the contest hacks I've given you in this article will improve your chances of success no matter your industry. They'll drive more traffic, increase conversions, and boost the chance of a contest lead becoming a sale. Hopefully you've seen something here which will inspire your next contest's success. Have any questions? Don't hesitate to reach out in the comment section and I'd be happy to help you out!